Quite recently, I saw a few headlines (here and here for example) about what basic words a two-year-old should know. That immediately grabbed my attention for several reasons: my daughter has just turned two; and words are my thing (as you may know by now). This research is nothing new in the world of academia. These lists have existed for quite some time. The study in question reported here is under criticism (see second example's comments). But I am not going to go into that. It is not relevant to what I want to say. The fact is that there are words that are acquired first. These tend to always be the same. And this is what is relevant here. There’s good news for bilingual families — their 2-year-olds are expected to have 25 words in only one of their languages. One language? Why? Why take into account only one language? What about the other one? Just ignore it? That seems wrong. Poor child. S/he is trying to learn two languages at once and we are just ignoring the other one. What about if my bilingual child knows 10 words in German and 15 in English? Is she ok? What about if she knows 25 in English and 25 in French? Is she a genius? All too often when so-called professionals assess multilingual children, even with the best intentions, they take into account only one language. 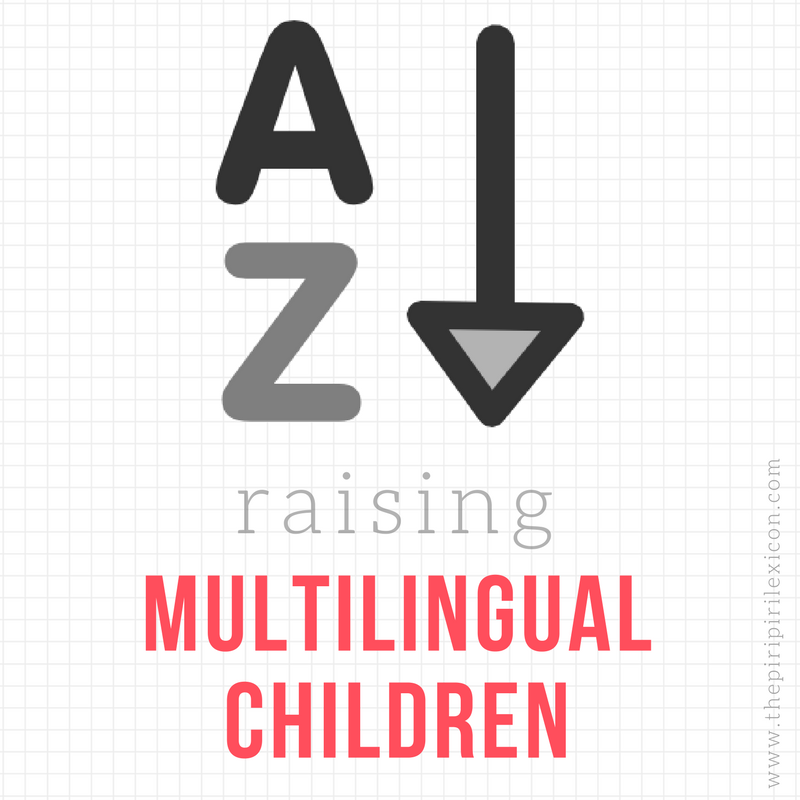 A multilingual child's vocabulary should always take into account all of his/her languages. Of course a child might come up below average at any developmental stage if only one language is taken into account. On the contrary, studies have shown that when the TWO (or more) languages are assessed bilingual children perform just as well a monolinguals (if not better - see here for example). Bilingual children should never be assessed on the basis of only one language. How we assess two or more languages to is still opened to debate. Should we just assess the child in French + English and then total up the two scores? If my child says duck and canard, s/he gets credited with two words. But it is one concept, right? Should it be just one word? This research is also about English. The list above contains one verb. 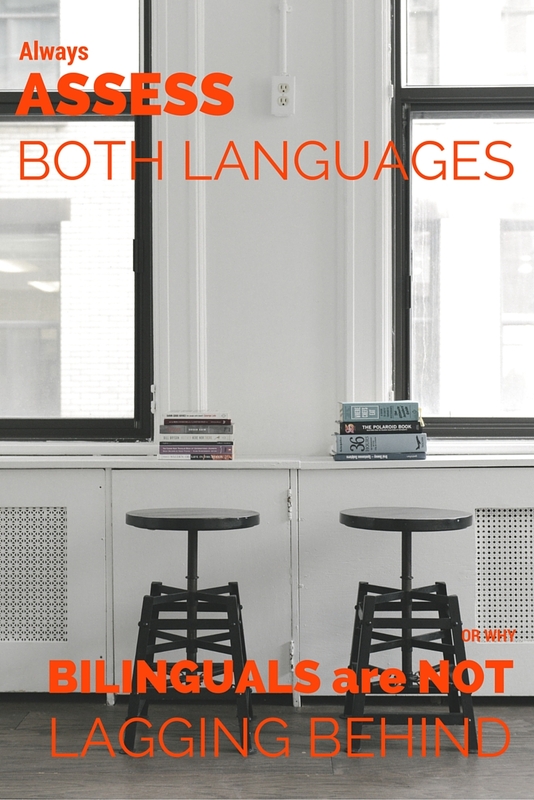 There are documented differences between languages. For example, Chinese-speaking children learn more verbs earlier on when compared with their American English-speaking counterparts. So would a bilingual Chinese-English child learn more verbs earlier in English? I will look at these cultural differences in a next instalment. What has been your experience? Has your child ever been assessed for vocabulary in just one language? What was the outcome? This is so interesting - I've thought about this a lot. And now that my kids are older (8 and 10), I'm seeing that the whole school system in the USA revolves around testing in just English. Even my 8 year old, who is in a Spanish Immersion program, will only be tested in English, because there are no testing (at least in the state of Michigan) available in any other language. That just makes absolutely no sense, since they are learning to read and write in English! I try to relax about the whole system (it is sometimes difficult! ), and just hope that someday their bi/trilingualism will serve them well! That is sad especially for an immersion program. Hello, as a former researcher, do you have any information on language assessment in non-anglophone countries? Do they have the same kinds of "biases", if you can call it that, towards their majority language, and only do assessments in that language, or do they take a child's bilingualism into account? I ask because everything I have read and experienced so far makes this issue look like an exclusively anglophone thing. Not trying to criticize or anything, just trying to find out, because I live in an anglophone country, and I have had some difficulty getting people to understand our son's language abilities. His mother language is French, and he expresses himself freely in that language, but hesitates in English, particularly around strangers, even though he knows the concepts. I am not sure the situation is much different in non-anglophone countries. In Europe in any case, the situation is pretty similar. In France, for example, which i know about bilingualism is not well understood either. Too many 'ortophonistes' advice parents to stop speaking a language. Others might be able to comment about other countries. About your son, does he hear more French than anything else? If so, it is pretty normal. My daughter is similar. She has a long silent period and becomes shy. I believe she is trying to work out what those strangers speak. Even though she might not know what french is, she knows mama and papa speak differently. So when she meets someone new she has to work out what they speak or how to speak to them. Linguists call it a silent period.